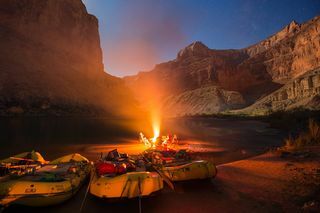 I have floated the length of the Colorado River thru the Grand Canyon numerous times on photography expeditions and also on a National Park Service trip. For this trip, I have partnered with Tour West, an official concessionaire for the National Park Service. 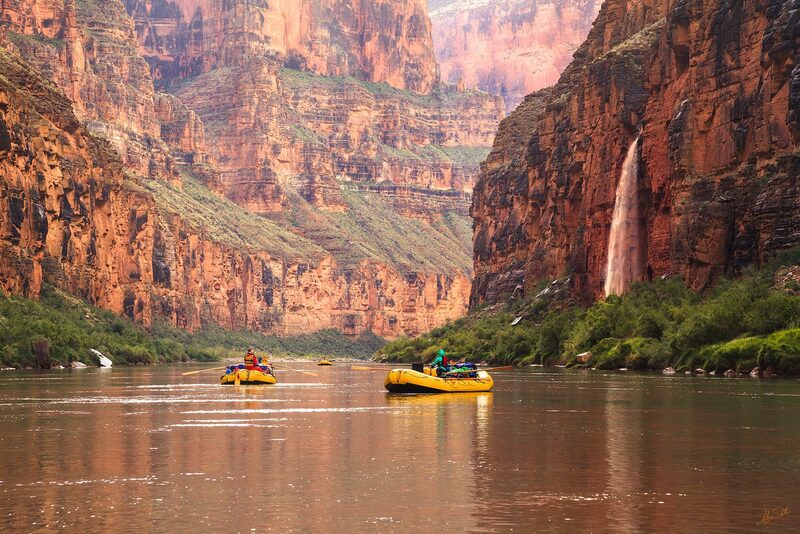 All of our river guides are professional boatman with a passion for the Grand Canyon. This is an oar-powered trip meaning there are no motors, and our river guides row, thus preserving the tranquility of the experience. 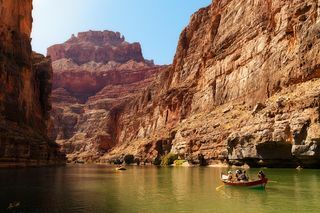 This is a once in a lifetime opportunity to experience the majesty of the Grand Canyon and the Colorado River. 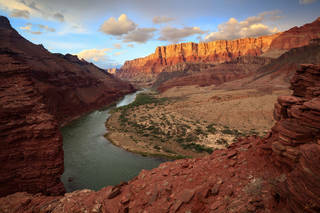 This year marks the centennial of Grand Canyon National Park which was created in 1919. 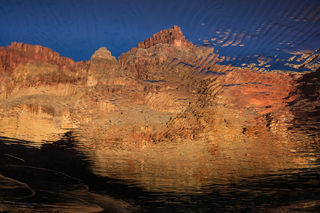 It's also the sesquicentennial, or 150th anniversary, of John Wesley Powell and his expedition rowing the entire length of the Colorado River including the first passage through the Grand Canyon. 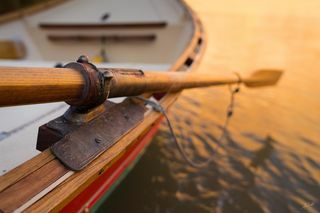 In addition to our rafts, we will also have a beautiful wooden dory on this trip. The dory will be available to the guests to ride in if they choose, and we'll be using it in photos as well. 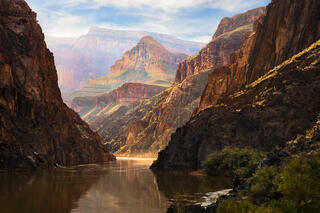 It's a truly beautiful subject and it compliments the canyon and river well. September 19th: Adam will host a meet & greet the evening of the 19th a location to be determined at a later date. This will be an excellent opportunity to address any last minute packing, clothing, and logistical issues before the river trip. September 20th: You will meet up at Ceiba Adventures in Flagstaff, Arizona at 2:00 pm.Ceiba will drive us to Marble Canyon Lodge, where we will stay that night. You can leave your vehicle at Ceiba in their secure locked facility for a fee of $2.00 per day. We will arrive at the Marble Canyon Lodge around 4:30 to 5:00 pm. The rooms are reserved for you and are part of your trip cost (meals before the trip are on your own, including the evening at Marble Canyon Lodge). Check-in, take a walk out onto the footbridge over the river, enjoy a last shower, eat dinner and be ready to meet for an orientation meeting at 8:00 pm across the street on the porch of the old Marble Canyon Lodge. Here we will give you your dry bags for packing your personal items into (these dry bags are not for camera gear), meet each other and the crew, and go over some of the trip basics. September 21st: Rise and get your breakfast at the lodge restaurant and be ready for a shuttle to take you down to Lees Ferry at 8:30 am. October 8th: On the morning of October 8th we will arrive at Diamond Creek, 226 miles downstream of Lees Ferry. Ceiba will have a shuttle vehicle there to pick you up and take you back to Flagstaff to the place where you started. Don’t expect to be back to Flagstaff much before early afternoon. This is the end of the trip. Thank you for joining us on the river! This workshop is for anyone with a spirit of adventure, and it is open to all skill levels. 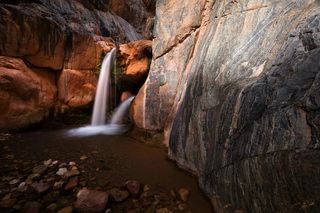 We will be hiking into several side canyons with a moderate to difficult fitness level required. Our river guides lead the hikes and assist in getting you to the photo locations. This trip is also open to non-photographer spouses, family members, and friends. All are welcome! Professional river guides who are all whitewater qualified with an average of fifteen years and hundreds of miles of river experience. Each guide is an accomplished outdoors person with a background in natural history and the ability to make each river trip special and memorable. Meals – all meals on the river starting with lunch the first day and ending with breakfast the last morning. All meals are expertly prepared and cooked by our guides. Beverages – unlimited water and lemonade. Coffee, tea & hot chocolate in the morning. Waterproof bag – 16”X 33” 108 liters to put your personal duffel bag into during the trip. Small water-resistant bag --9.5”X 20” 22 liters--accessible at all times) for personal articles. Transportation from Flagstaff to the put-in at Lee’s Ferry and from the takeout at Diamond Creek back to Flagstaff. Single-occupancy lodging the night of September 20th at Marble Canyon Lodge. Lessons on geology, ecology, and the history of the river. A dry bag to protect your camera pack. Padded case for your tripod, and a dry bag for this to slip into. Alcoholic beverages. You are welcome to bring your own. Personal items, i.e. clothing, water bottles, medications, etc. Anything not listed on the 'What's Included List' above. Autumn is a great time of year to be in the canyon. While the canyon is known for being incredibly hot during the peak of the summer months, our fall trip has far cooler temperatures with highs on most days in the upper 80s (27-32°C)and occasionally in the low 90s. Overnight lows are typically in the 50s and can dip into the 40s (4-9°C). We recommended that you fly into and out of either Flagstaff Pulliam Airport, or Phoenix Sky Harbour Airport. It is approximately a 2.5-hour drive from the airport in Phoenix to Flagstaff. The tuition for this workshop and river trip is $5900.00. Your deposit of $500 will reserve your spot on this trip. A second payment of $500 is due by June 1, 2019. The final payment of $4900.00 is due to Tour West by June 21, 2019. All of our standard Terms and Conditions apply. 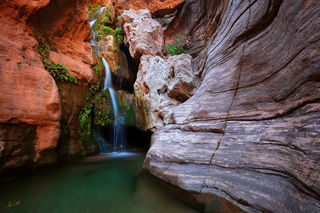 The National Park Service requires all photography workshops to list the outfitters cost as well as the additional workshop component of the trip. 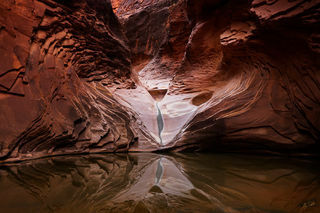 The Tour West cost is $5400 per guest, Adam Schallau Photography workshop cost is $500 per participant. 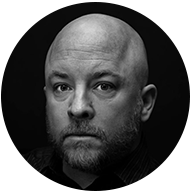 This workshop is limited to 12 guests, and it sells out fast. If you are interested, do not delay, sign up today by paying your deposit below. Got questions, send us a message.